A Juice Blend from Five Juice Concentrates with Other Ingredients. 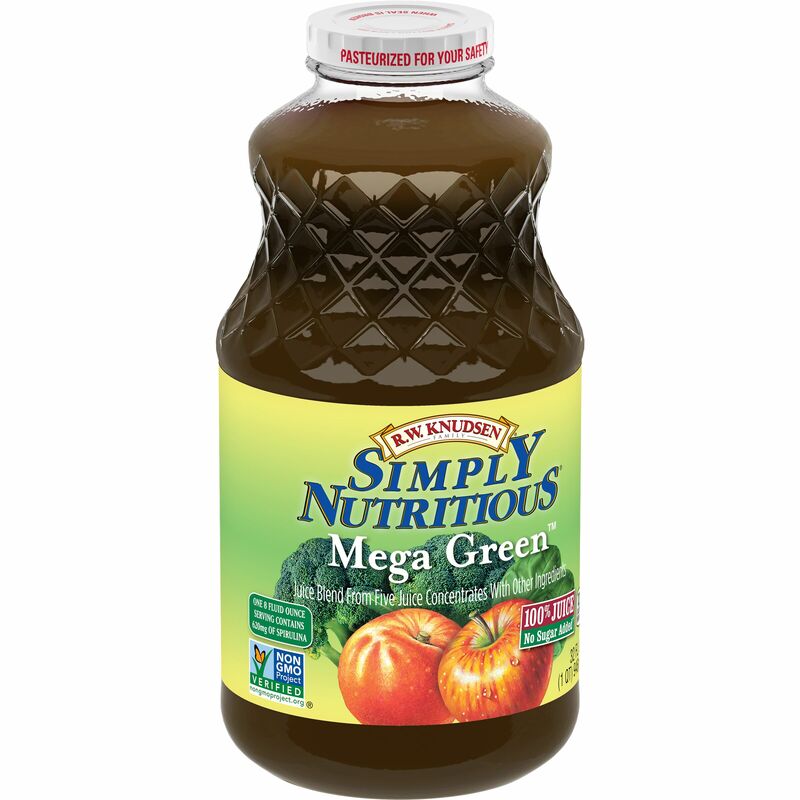 Filtered Water (Sufficient to Reconstitute), Apple and Pineapple Juice Concentrates, Peach Puree Concentrate, Banana and Mango Purees, Spirulina, Chlorella, Ascorbic Acid (Vitamin C), Broccoli and Spinach Powders, Gellan Gum, Natural Flavor. Pineapple juice concentrate is the fruit juice of ground and pressed pineapples, from which some water has been removed. Banana puree is the soft, thick paste formed from mashed, blended and/or sieved bananas. Spirulina is a type of edible single-cell blue-green algae. Chlorella is a type of edible single-cell green algae. Broccoli powder is dried and ground broccoli, an edible green plant in the cabbage family. Spinach powder is dried and ground leaves from spinach, an edible flowering plant. Gellan gum is a natural gum that thickens, gels and keeps foods from separating. It comes from Sphingomonas bacteria.